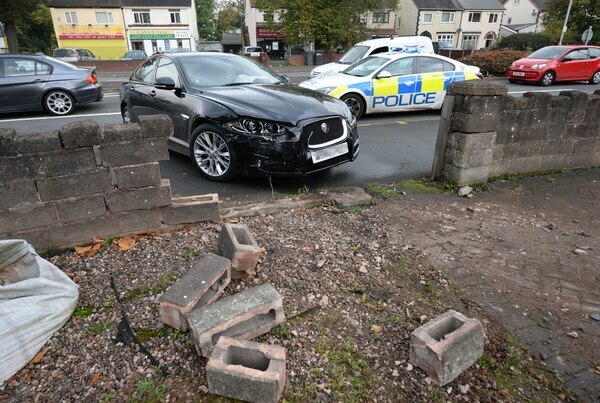 Two cars careered through a wall in a three-vehicle crash at a busy junction. 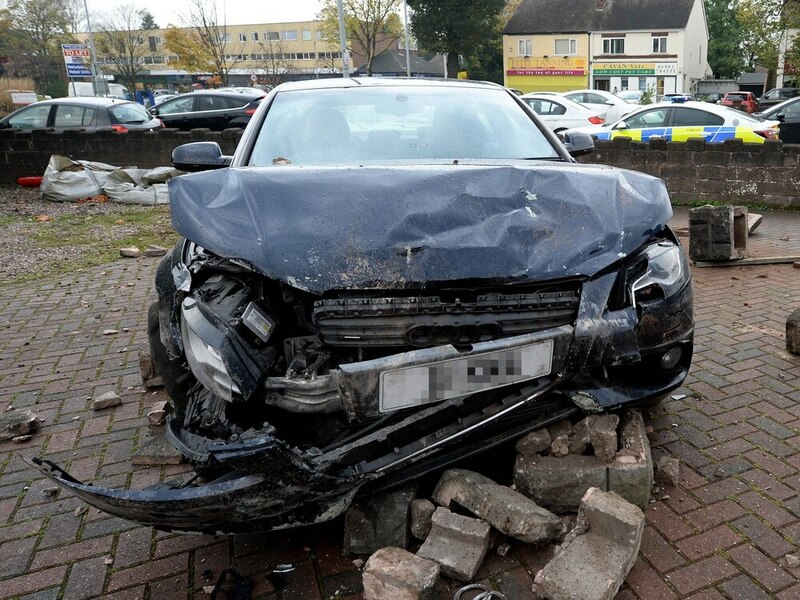 The collision happened on the Stafford Road shortly after 8am today at the junction of Three Tuns Lane, near the Ming Moon Chinese restaurant. Nobody was badly injured in the crash. But one lane was blocked causing long delays heading into Wolverhampton from the M54. Jimmy Ram, aged 26, lives at the house where the accident happened. He said: “I was asleep through the whole thing so it was the police knocking at the door who woke me up. His neighbour a few doors down, Grathel Grey, is 81-years-old and retired. 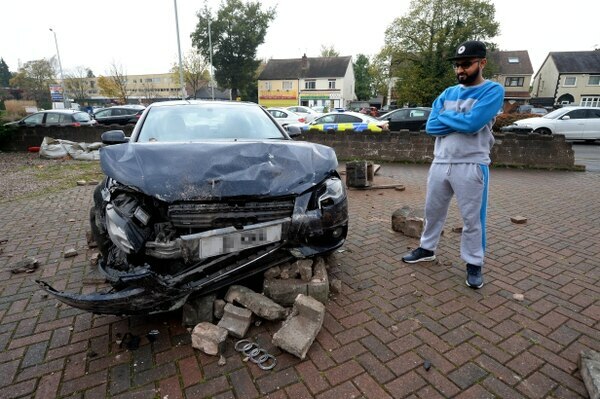 She said: “I was shocked when I saw the cars on the pavement. Many many years ago someone drove through the wall at the end of my drive. 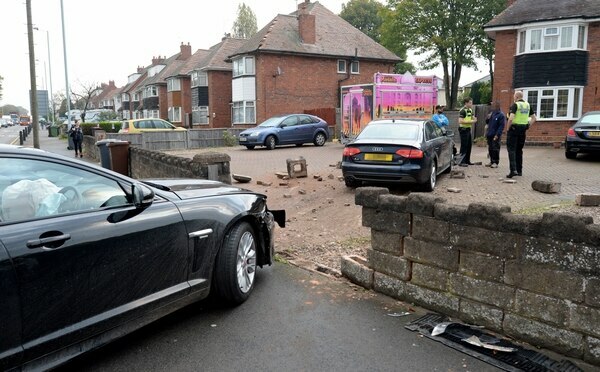 Things do happen on this road.” Jamie Arrowsmith, spokesman for West Midlands Ambulance Service, said: “It appears that nobody has been seriously injured in the crash.” The two cars – an Audi and a Jaguar – were badly damaged.